Housing costs got you down? Though apartment hunting can be frustrating, there are deals to be had. So what does the low-end pricing on a rental in University Place look like these days--and what might you get for the price? Listed at $800 / month, this 1-bedroom, 1-bathroom apartment, located at 7000 Greenbriar Dr., is 38.5 percent less than the $1,300 / month median rent for a 1-bedroom in University Place. Amenities include hardwood floors, granite countertops and lots of natural light. The complex features a swimming pool, fitness center and more. This 1-bedroom, 1-bathroom apartment, situated at 2028 Bissonnet St., is listed for $975 / month for its 840 square feet of space. In the unit, the listing promises both air conditioning and central heating, a mix of hardwood floors and carpeting, granite countertops, a balcony and deck, a fireplace, a dishwasher, a walk-in closet, in-unit laundry and other features. Building amenities include assigned parking, a swimming pool, a roof deck, a fitness center, a business center, concierge service, and a communal outdoor space with fire pits. Good news for animal lovers: both dogs and cats are permitted here. Here's a 1-bedroom, 1-bathroom abode at 1709 Vassar St., which, at 404 square feet, is going for $975 / month. In the unit, look for air conditioning, hardwood flooring, in-unit laundry and other features. Cats and dogs are not allowed. Then there's this 567-square-foot apartment with 1 bedroom and 1 bathroom at 7553 Kirby Dr., listed at $1,150 / month. 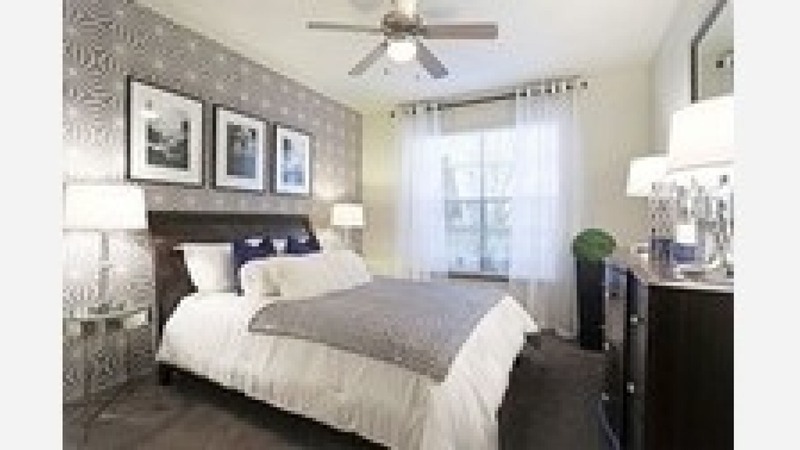 In the unit, you'll find hardwood flooring, stainless steel appliances and high ceilings with ceiling fans. Neither cats nor dogs are allowed. Amenities offered in the complex include a swimming pool, a fitness center, a business center and more. Listed at $1,200 / month, this 1-bedroom, 1-bathroom apartment is located at 32101 Louisiana St. When it comes to building amenities, expect a swimming pool, 24-hour gym and residents' lounge. In the unit, you'll find air conditioning, in-unit laundry, a dishwasher and hardwood floors. When it comes to pets, both meows and barks are allowed. This 1-bedroom, 1-bathroom apartment, situated at 5755 Hermann Park Dr., is listed for $1,285 / month for its 619 square feet of space. In the unit, expect to find both air conditioning and central heating, hardwood flooring, a balcony, a dishwasher, a walk-in closet, in-unit laundry and stainless steel appliances. When it comes to pets, both meows and barks are welcome. As for building amenities, expect garage parking, a swimming pool, a fitness center, a business center, an outdoor kitchen with grills, a media room with six TVs and a coffee bar.